I was saved as a teenager and called to preach at the age of 17. After completing my ministerial training at Bob Jones University in 1972, I taught middle school Bible and science for 2 ½ years. 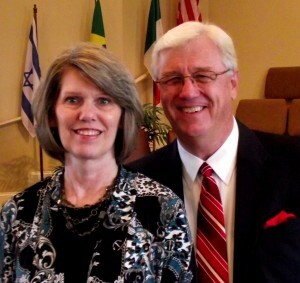 It was while teaching in Jacksonville, FL that I met and married Myra Pruett of Rainsville, AL. I was ordained in 1974 and have been preaching the Gospel for over 40 years. In October of 2000 the Lord led us to Trinity Baptist Church in Centerville, GA. The last 18 years have been wonderful years of blessing and growth. God has worked in miraculous ways to accomplish His will in the lives of His people and expand the ministry. My wife and I will celebrate our 46th wedding anniversary in December of this year. We have three sons, Jeremy, Jason, and Jonathan and ten grandchildren.